PlayGround Blog: PlayGround January Topic Announcement! PlayGround kicked off the New Year in (musical) style this morning with the announcement of the topic for the fourth annual Monday Night PlayGround “Musical Theatre Night”, presented in association with TheatreWorks’ New Works Initiative and taking place at 8pm, Monday, January 21 at Berkeley Repertory Theatre. That topic, I Have A Dream…, will lead to the creation of more than thirty short musicals, of which six will be selected for presentation on January 21, with original music by composers/musicians Ben Prince and Don Seaver. Participating directors this month include: Chris Smith, Evren Odcikin, Tracy Ward, Barbara Oliver, Resident Director Jon Tracy, and PlayGround Artistic Director Jim Kleinmann. Selected plays will be announced via Facebook and PlayGround’s website on Thursday, January 17. For tickets and more information, visit http://playground-sf.org/monday.shtml. PlayGround audiences get to enjoy a unique behind-the-scenes perspective, with free pre-performance discussions every month at 7:10pm, featuring playwrights and other special guests related to that month’s topic. Audience members can also experience the thrill of being a producer through the monthly People’s Choice Awards, helping to determine which plays and playwrights go on for consideration in PlayGround’s annual showcase, the Best of PlayGround Festival. PlayGround, the Bay Area’s leading playwright incubator, provides unique development opportunities for the Bay Area’s best new playwrights, including the monthly Monday Night PlayGround staged reading series, annual Best of PlayGround Festival, full-length play commissions and support for the production of new plays by local playwrights through the New Play Production Fund and, PlayGround’s newest initiative, the PlayGround Film Festival. To date, PlayGround has supported more than 185 local playwrights in the development and staging of nearly 650 original short plays and 41 new full-length plays, with 7 more commissions currently in development. For more information, visit http://playground-sf.org. WHAT: Occurring monthly, October-March, the popular Monday Night PlayGround series presents staged readings of thematically-connected short works by the Bay Area’s best new playwrights each month at Berkeley Repertory Theatre, staged by leading local professional actors and directors. 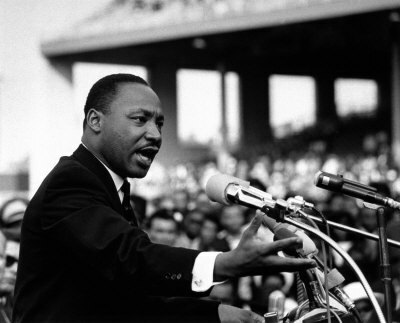 The given topic for the January 21 PlayGround event is “I HAVE A DREAM… ”. TICKETS: $15/$20 (priority seating), available online or at the door. Pay-What-You-Can at the door beginning one hour before the performance, subject to availability. 4-admission flex subscriptions are just $60. For more information about the Monday Night PlayGround series, call (415) 992-6677 or visit www.PlayGround-sf.org. Manic Pixie Dream Girl Extended to Feb 17!